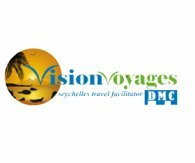 How to build your holiday programe in Seychelles? Well organize your trip! A successful holiday is a holiday well organize. It is necessary to take advises from an expert for the success of your trip to Seychelles. You should not believe that the length of stay on each island is in proportion to the size of each island! Of course not! The Seychelles archipelago consist of 115 islands spreading on a vast territory! But the most visited is Mahe,Praslin and La Digue. The weather is good all year round, Because of its situation to the line of the Equator and they do not receive cyclone. The rainiest season is between mid November to end of January. The rest of the year the weather is generally great. From February to May it is quite hot. From June to September is quite windy so it reduces the heat. In this period of the year the sea is a bit rough for those who get sea sick! We advise you to start your holiday in Seychelles from Mahe first as the countryside is completely different from those coming from Europe. Mahe is very beautiful but is it the island most developed with a lot of trafic. Mahe is the main island with the size of 24km long and 12km width. It’s the largest island, the capital is Victoria which is the smallest capital in the world. The majority of the 85 000 of population lives on Mahe. The island is very green, mountainous and most industrialized. The first industry is situated in Victoria: The tuna factory. Actually the Seychelles are the first zone for Tuna in the world. Its capital Victoria which is very small 3 km long has often traffic jam in the morning before the opening of the offices and in the evening after work. The main maket is found in the heart of Victoria with the catch of the day, local fruits and vegetables (bananas, mangoes, passion fruits, golden apple, Chinese cabbage, carrots, tomatoes, cabbages….eggs) the corner for spices and the butchers at the end of the market, its colorful souvenir shop on the first floor. When going out from the town there an arcade you can find some beautiful souvenirs shops. A nice Creole House "Kenwin House" on the way where you can find jewels made in Seychelles. The best thing to do is to visit the market early in the morning and stay for about 2 hours to visit the capital. In the entry of the town you can see the Botanical Garden which is beautiful to see. Opposite of Mahe it exist the Victoria National Marine Park, it is possible to staying a hotel situated on one of the island or simply you can do an excursion. The part of Mahe most developed in an international touristique mode is Beauvallon with the longest beach in Seychelles. A number of hotels and restaurants make part of the most frequented place by the tourists. 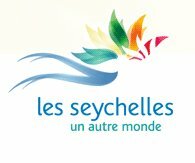 To be avoided by those looking for authencity in the Seychelles. In this case just a visit will be sufficient. By the way the south side of Mahe is very beautiful, it has remain natural typical. The vegetation is rich. In the South you have the choices between 5*and 4* or small establishments like guest Houses or self caterings. The roads which crosses from one side to the other to reach Victoria climbed a lot. The driving is on the left side. The road which cross « Sans Soucis » will lead you to the place called The Mission Lodge with its Dragon Blood Trees, the tea plantation, the manufacturing of the vanilla tea of Seychelles. The road leading to La Misere is also very nice to see. You can also visit the Craft Village at Anse Royale by taking the road leading to the south. A number of nice lovely beaches and beautiful countryside makes Mahe the first different step of your holiday in the Seychelles. Depending on the length of stay in the Seychelles it is preferably you stay between 3 to 5 nights on Mahe. Then you can take either the fast catamaran "Cat Coco"or the domestic flight with "Air Seychelles" (small beachcraft) to reach Praslin. Situated 1 hour by boat from Mahe or 15mn by airplane. Praslin is the heart of the Seychelles. The island is not big 12km long, but mountainous in the center. It consist a treasure"belonging to the Unesco" the famous endemic forest: The Vallée de Mai. In this forest there are the famous unique endemic nut s males and females called (Coco de Mer) funy name called « Coco Fesse » because of its shape of the nut once the skin is remove. You should not miss a visit in the Vallée de Mai either alone or you can take a guided tour with a botaniste, who will explain to you the vegetation of the endemic plants of the Seychelles. 1 or 2 hours are necessary. On Praslin you have to be careful with the phenomen of seaweeds. Depending the time of the year, it covers the beaches at Grand Anse coast (from June to December) because of the Southeast wind. So it is better to avoid your stay on that side of the island at that period of the year. Be careful, the period of seaweeds can start before and can end a bit later than the normal months indicate! The famous beach of "Cote d'Or" and "Anse Volbert" is a very huge beach lying all along the coast. Some nice hotels small and big to allow any guest of any budget to come, certain structures like Guest Houses allows to stay at a lower price. A stay of 7 nights is ideal to well discover Praslin. Do not miss out the full day excursion by boat which includes the visit of 3 islands,Cousin (World Birld Reserve generate by WWF), Curieuse Island which kept the biggest land tortoise of the world (originated from the Aldabra archipelago, an atoll belongs to the Seychelles situated 3 days by boat) and isle of St Pierre where the rental of a mask and flippers can allows you to see a number if variety of fishes. Another interesting excursion, is the full day with lunch included to the sisters island, Iles Grandes Sœurs and Petites Sœurs where you can swim with the sea turtles. Many beaches and creeks criss coastline between the Cote d’Or beach and the tip of the island where there is the famous beach. From Praslin you can take the boat from Baie St Anne to reach the beautiful island of La Digue Located 10 minutes from speed boat with the boat "Cat Rose" or sometimes the "Cat Coco"
La Digue is the perfect place to end his stay if you have a night flight or afternoon return. Indeed in La Digue you are on a 6km long island where we biked or walking . Famous for its site "Source d'Argent" and its famous pink granite rocks, everything is magic on this island. It was like coming back 100 years and a unique experience in the world. The road leading to the beach of Grand Anse and then the road to Anse Coco are unforgettable moments. The beaches of Anse Severe and Anse Potatates and all of the island makes us escape us beyond imagination. A taxi ride ox cart for fun! The choice between the many small installations Guest House Rent or traditional hotels from 2 to 4 * Charming will satisfy all travelers.